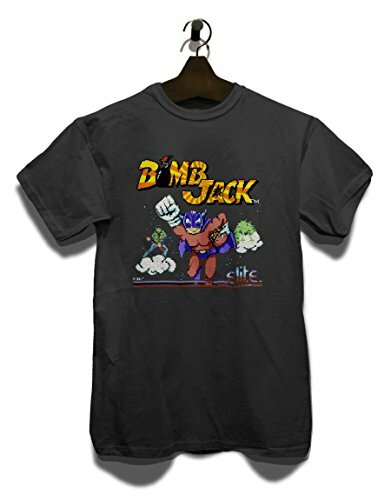 You can take a look back at the original Bomb Jack computer games using the video clips and review below. Firstly, though, you can play this free online version of the game on your PC (it will not work on most mobiles and tablets) to remind yourself of when you used to play the game in your bedroom back in the mid eighties. To get started, click over the game screen with your mouse and press the space bar. Use your arrow keys to move around the screen and the spacebar to jump. Defuse the bombs and avoid the nasties! The video clip features all 20 levels from the C64 version of Bomb Jack. Although the bombs are supposed to be diffused in sequence, the player here appears just to be taking the easy route, therefore, not receiving any bonus points for his high score. By the way, do you recognise the music? It's Magnetic Fields Part 2 by Jean Michel Jarre, which was converted for the C64 by Mark Cooksey. 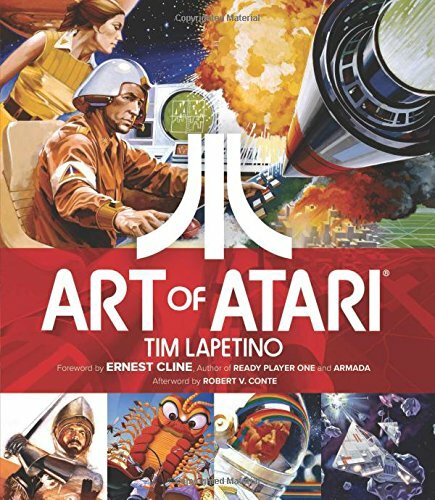 This fast-paced platform game was released into the arcades during 1984 by Tehkan (who became Tecmo), before being ported to the major 8-bit formats in 1986 and the Amiga and Atari ST in 1988. What really tempted me into buying this game (on the ST) were the luxurious-looking backdrops of famous tourist sites. The graphics look pretty rubbish now, but at the time they appeared to be quite stunning, especially the Sphinx and pyramids. As Jack the superhero you had to leap and glide around the screen defusing bombs, as well as avoiding enemies such as mummies, birds, orbs and other creatures that were either walking along a platform or flying around the screen. The bombs needed to be diffused in sequence by simply touching them, and each time one was diffused a fuse would light on another bomb. It didn't pay to hang about, and although the bombs didn't go off, the longer Jack took the faster his enemies became, eventually following him around. Also, flying saucers appear and home in on Jack. 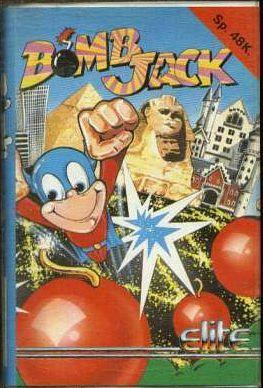 I enjoyed playing platform games back in the day, but I don't remember being particularly enthralled by Bomb Jack. The game is now considered a bit of a cult classic, but because it was extremely tough to diffuse the bombs in sequence, the game didn't hold my attention for very long. I like a challenge, but this was just a tad too challenging! Maybe it's just one of those games you either love or hate? 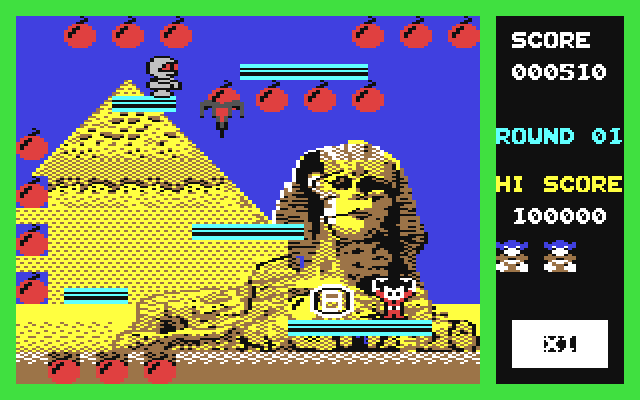 Here we have the first five levels from the ZX Spectrum version of Bomb Jack, in which the player plays it properly (unlike in the C64 version above) and receives a perfect bonus. Here is the version I used to play back in the 80s for the Atari ST. Obviously, there is an improvement in the graphics department over the 8-bit versions, although, as in the commodore video clip, the player has taken the easy route and decided not to go for a bonus by diffusing the bombs in order - shame on you!